Johnny Bradberry has extensive experience at the state level and private sector, both domestic and international. In 2005, while serving as the Secretary for the Department of Transportation and Development, he played a critical role in preparation, response, and recovery efforts for Hurricanes Katrina and Rita, as his department was the driving force for infrastructure repairs, debris cleanup and levee breach repairs. In this role, Bradberry also provided significant individual leadership on several critical issues, including agency right- sizing and work process improvements, development of the state’s coastal master plan and corresponding implementation plans for coastal protection and restoration. He holds a bachelor’s degree in Mechanical Engineering and a Master’s degree in Industrial Engineering from LeTourneau College and LSU. 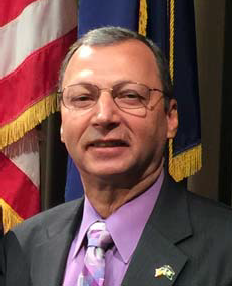 Bradberry was appointed to serve as Governor John Bel Edwards’ Executive Assistant for Coastal Activities and as the Chairman of the Coastal Protection and Restoration Authority in January of 2016. A native of Grand Isle, Louisiana, Bradberry previously served as a Member of the Board of Directors and as Vice President, Business Development for Volkert, Inc. Prior to that, Bradberry served as President of TOPCOR Services and CEO for TOPCOR Companies, LLC. In 2004, he retired from ConocoPhillips Company in Houston, Texas after 28 years to accept the appointment by Governor Kathleen Blanco to serve as the Secretary, Louisiana Department of Transportation and Development.